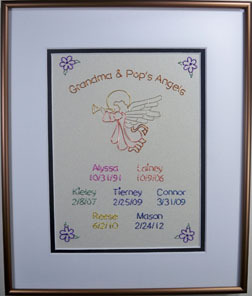 This picture is called the "Grandma's Angels" picture. 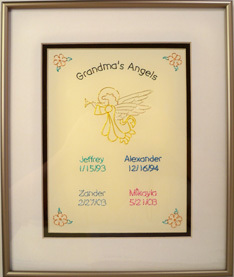 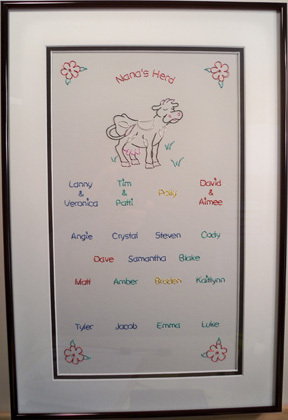 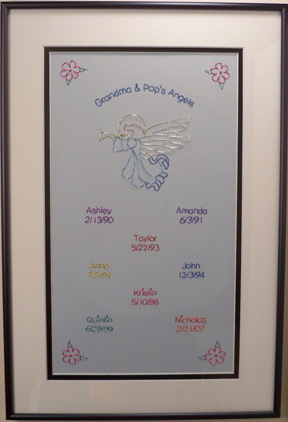 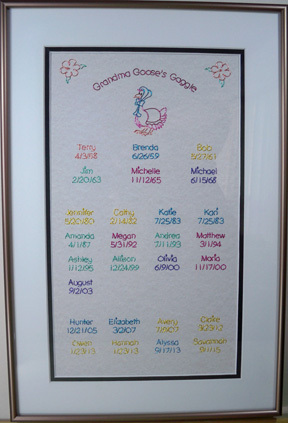 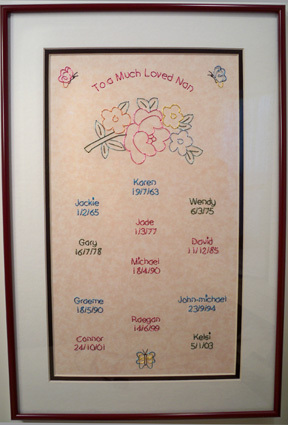 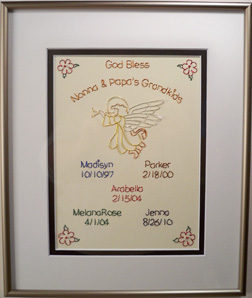 You can use any picture and say any words arced across the top of the picture and then list the grandchildren or two generations of names and birthdates below the picture. 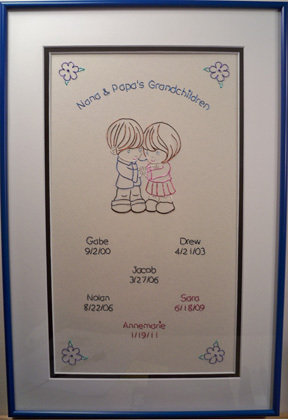 An idea for doing two generations is to have the wire color for the grandchildren match the wire color for their parents in the picture. 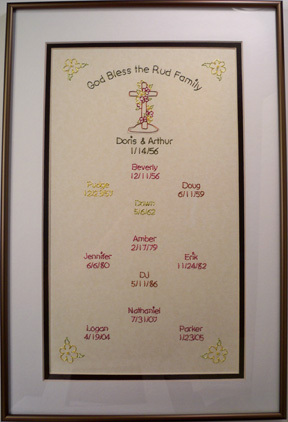 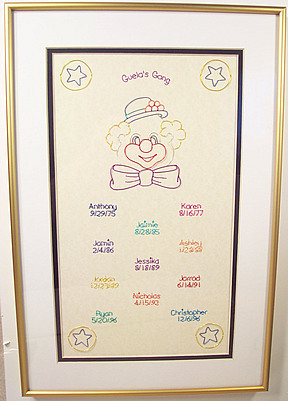 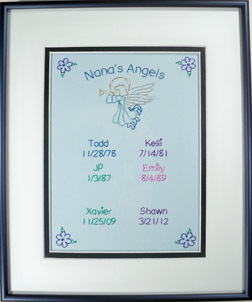 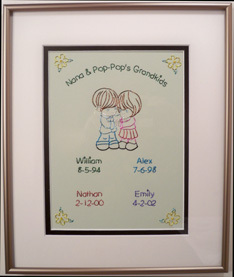 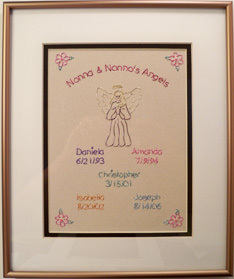 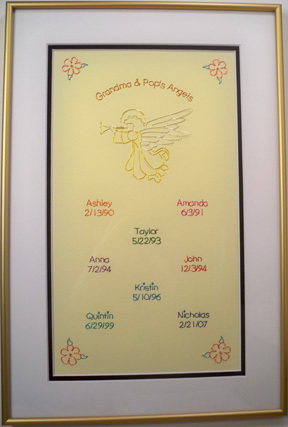 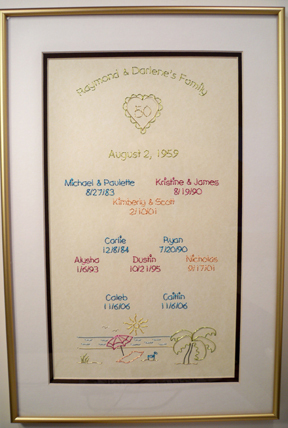 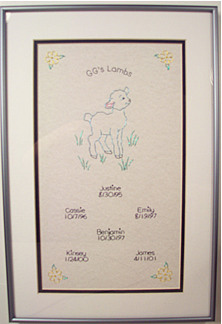 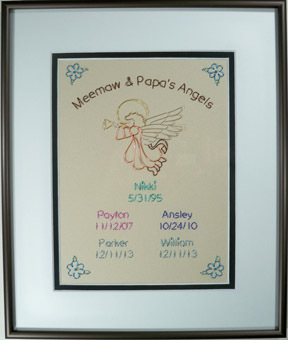 An example of 3 generations is shown below in the gold frame for "Raymond & Darlene's Family".